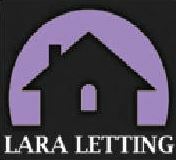 We at Lara Letting ltd. offer advice on all aspects of residential letting. Our aim is to get the best possible return for the landlord. We are dedicated to all our clients. We offer a full management service at a competitive cost to landlords. We have excellent knowledge of the local property market and price trends. We advertise on many web sites including the “Letting Web” and Campbell Boath Solicitors. We have distinctive “To Let” boards. Regular progress reports and feedback from viewings. Advice on all letting regulations – i.e local council, gas and electrical certificates, energy performance certificates. We prepare all the necessary paperwork including: AT 5s, lease, inventory, gas, and electric meter readings. On the right hand side you will find a list of resources and services which we provide to help make your life as a landlord easy and pleasant. We offer a full management service at a competitive cost to landlords.